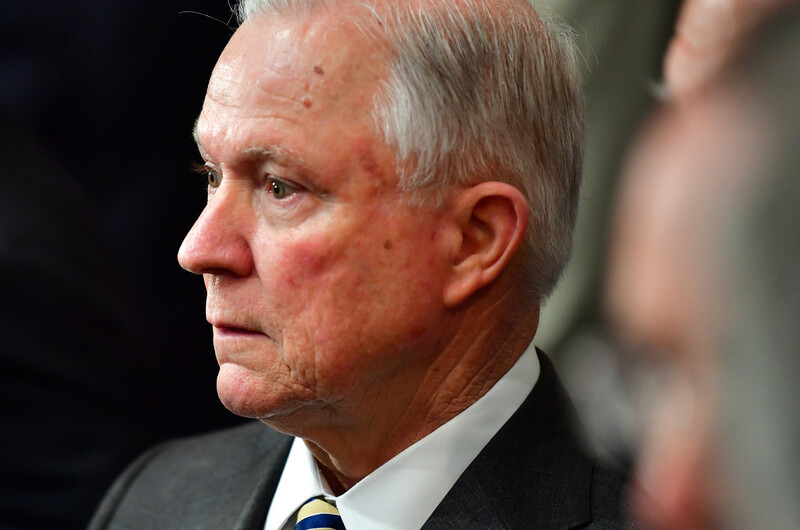 Attorney General Jeff Sessions pledged this week to dramatically increase the number of immigration judges amid criticism that the administration is intensifying a court backlog it has promised to slash. But one organization representing immigration judges is unconvinced. In response to Sessions&apos; announcement on Monday, the National Association of Immigration Judges, a voluntary organization promoting the independence of immigration courts, called for "the Immigration Court to be removed from the Department of Justice (a prosecutorial agency) into an independent court," in a statement sent to Pacific Standard. Further, NAIJ is advocating for bipartisan congressional support for an immigration court system independent from the Department of Justice. "The AG, as the nation&apos;s top prosecutor has set out, once again, the Executive branch&apos;s prosecutorial policies which he is attempting to implement and impose onto a court system that is supposed to be an impartial decision-maker of cases brought before it," the statement reads. Sessions told an incoming group of 44 new immigration judges on Monday that the administration plans to increase the total number of immigration judges by 50 percent from what it had been at the start of Donald Trump&apos;s presidency. Sources estimate that number was around 300; a current government count places that number at around 350. The expectation is that the administration intends to bring on about 100 more judges to contend with a growing backlog of cases nationwide. To be sure, the backlog issue has become a real problem. 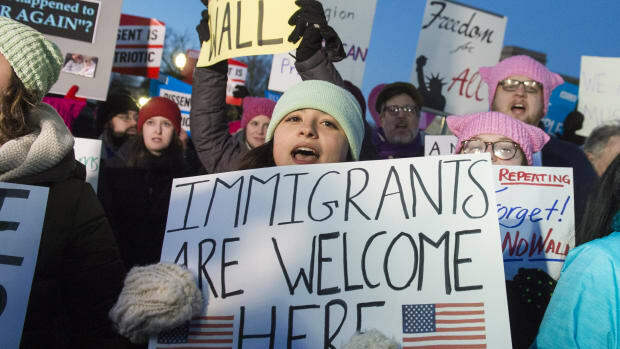 From Trump&apos;s inauguration to the end of July, there was a 38 percent increase in unheard immigration court cases nationwide, according to a count by Syracuse University non-profit data research center, Transactional Records Access Clearinghouse. 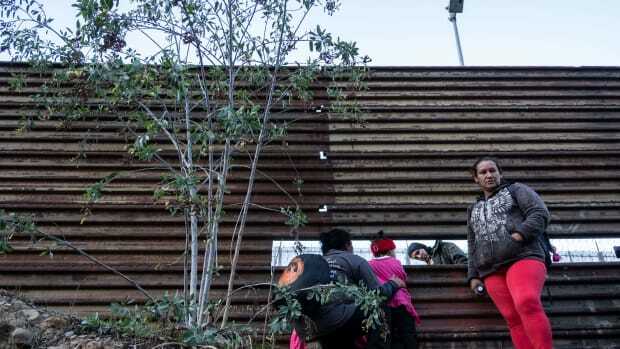 California had the largest immigration court backlog of 140,676 cases awaiting a decision, and Maryland saw a staggering 96 percent increase in its backlog, which at the end of July sat at more than 33,000 cases. 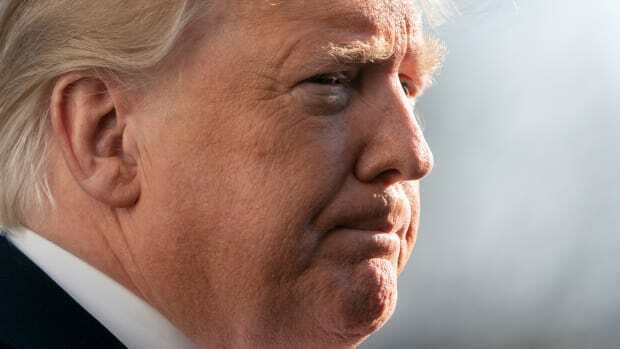 During Trump&apos;s first year in office, Department of Justice officials told the press they planned to slash the immigration court backlog in half by the 2020 presidential election year. What followed were a series of measures that analysts say have actually served to fund the backlog, not slash it. Heightened Immigration and Customs Enforcement raids, particularly in California where they have amounted to retaliation for state authorities&apos; refusal to cooperate with mass-deportations, have added to the ranks of yet-to-be-heard cases. So too have a number of Department of Justice policies. 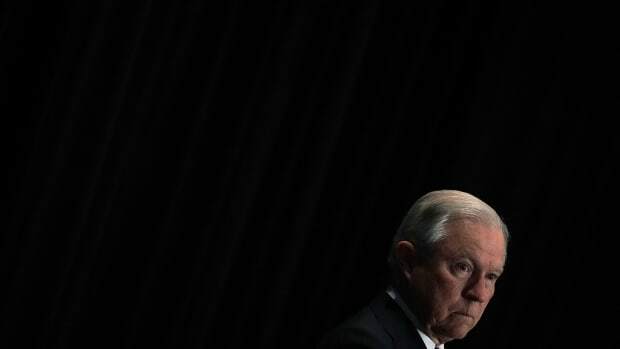 In April, Sessions imposed a quota of 700 case closures a year on immigration judges, in a move that analysts warned would force judges to speed through deliberations and undermine the defendants&apos; constitutionally guaranteed right to due process. That same month, Sessions halted the Legal Orientation Program, which offered detained immigrants help in navigating the legal system. 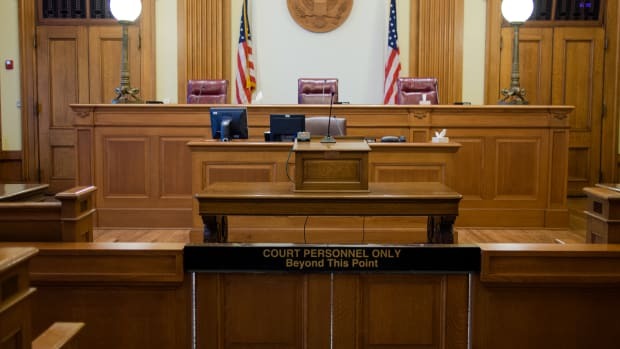 The program significantly cut down the amount of time judges spend ensuring that the defendants understand the proceedings that decide their futures. In May, he moved to end the use of administrative closures, whereby immigration judges refrain from ruling on a case but bar the immigrant in question from deportation while they petition authorities for citizenship. What would appear to be a solution to the case backlog is not, in light of the administration&apos;s other policies inserting itself into the courts&apos; working in an apparent attempt to deport evermore immigrants. "Theoretically, when you have more judges, more judges can hear more cases. On that front it certainly seems it would be a solution," says NAIJ President Ashley Tabaddor. "The problem is there are so many other programs implemented that present challenges that it might backfire in a greater magnitude when it actually doesn&apos;t work. With issues of undermining the integrity of the court with quotas and deadlines and undermining respect for the judges with the pressures on the court, the litigants are obviously much more critical of the court decisions." According to the quota Sessions set, only 15 percent of the 700 closed cases a year—little over 100—can be overturned on appeal for the judge in question to receive a satisfactory grade on their performance evaluation. Analysts agree with Tabaddor that, in theory, more judges would alleviate pressure on the immigration court system, but, in practice, an administration working to bend the courts toward its agenda of mass-deportations will only further burden judges beholden to the rule of law. 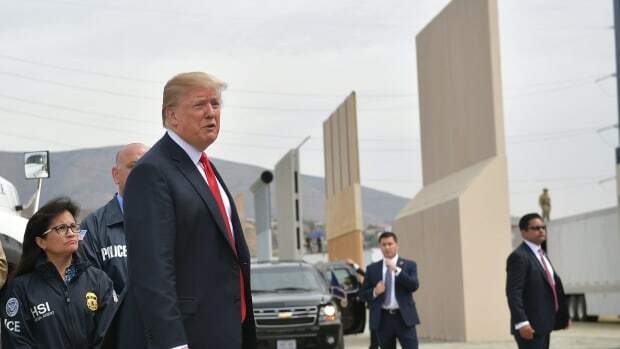 "Having more judges is a good thing if they are independent and can apply the law without being intimidated by other officers," says Richard Boswell, a law professor at the University of California–Hastings specializing in immigration law. "The failure to recognize the importance of the impartial application of the law will only reduce the quality of decision-making and increase the number of cases that have to be heard twice due to legal errors." As it stands, even adding half of what the number of immigration judges had been before Trump took office wouldn&apos;t do much to get the administration to its reported 2020 goal. "The addition of 40 or even 100 judges will only make a small dent in the many hundreds of thousands of new cases being brought by the government," Boswell says. "The addition of these new cases, without the government&apos;s exercise of prosecutorial discretion will severely tax the ability of these new judges to fairly process the immigration relief which will be sought by immigrants." The best way forward, Tabaddor says, is to remove the immigration court system from Sessions&apos; control altogether. Since 2013, the Federal Bar Association, bolstered by several such groups across the country, has been pushing Congress to establish a United States Immigration Court as an Article I independent entity, replacing the current Executive Office for Immigration Review that falls under the Department of Justice. While she acknowledges that Congress as it is now is unlikely to legislate such a reconfiguration, she is "always hopeful." "I&apos;m an optimist at heart," Tabaddor adds. "There are people on both sides of the aisle who have said in private conversations that they would support this idea."